There is a strong need right now for Peace Corps applicants who have an interest in serving abroad in developing countries. Volunteers are currently working in 83 countries on environmental issues, in health education, agriculture, and are also teaching English. 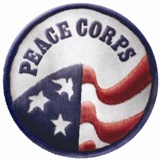 Interested in learning more about Peace Corps!? Want to know how you can make your application even stronger? Please join us for an information session this Wednesday.